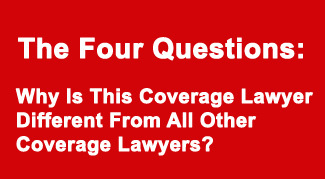 The last issue of Coverage Opinions featured the inaugural installment of “The Four Questions: Why Is This Coverage Lawyer Different From All Other Coverage Lawyers?” The objective of this new column is to feature a coverage lawyer and ask him or her, well, four questions. I’ll be looking to focus on unique lawyers – be it because of their practice or jurisdiction or something else or some combination of things. Chuck Browning, of Michigan’s Plunkett Cooney, P.C., kicked things off and was The Four Questions test subject. Thanks to the great job that Chuck did, The Four Questions is continuing. If the goal of T4Q (my new cool way to refer to The Four Questions column) is to feature a unique lawyer, then it is going to be hard to top Tred Eyerly of Honolulu’s Damon Key Leong Kupchak Hastert. That Tred practices coverage law in Hawaii is unique in itself. But wait. Tred also practiced law for many years in Alaska and the Northern Mariana Islands. In addition to insurance coverage, Ted’s resume includes commercial litigation, personal injury and employment. 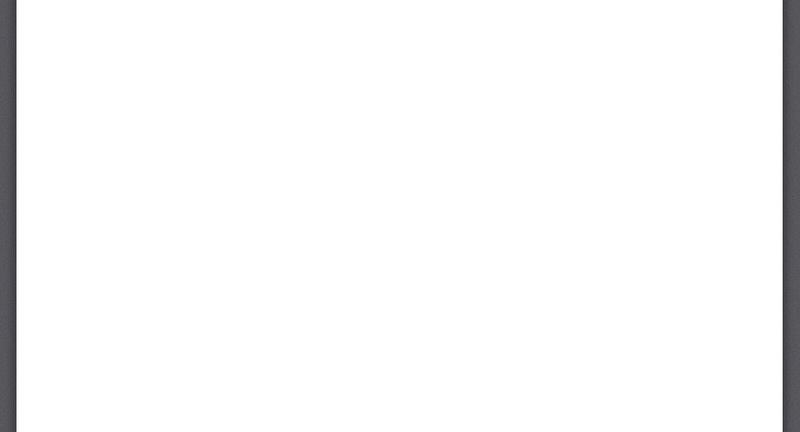 His career has also included substantial work in the public interest arena. Tred served as Chair of the Insurance Coverage Section of the Hawaii State Bar Association (2011-2013) as well as co-Editor, ABA, Section of Litigation, Insurance Coverage Litigation Committee’s Website, Case Notes and Articles (2012 – 2015). Tell me about your background and what made you practice law in such far-flung locations? I was born and raised, and went to undergrad and law school in California. Although admitted in California, I never practiced there. Instead, I spent eleven years in Alaska, ten years in the Commonwealth of the Northern Mariana Islands and have now been in Hawaii for fifteen years. In law school, one of my housemates graduated the year before me and went to work for Alaska Legal Services Corporation in Bethel, Alaska. He recruited me after I graduated. I started my legal career and lived in Bethel for two years. Bethel is in southwest Alaska, the regional hub for 56 Eskimo and Athabaskan villages, scattered over the Yukon-Kuskokwim Delta, a land mass about the size of Oregon. It was a fascinating experience for a young lawyer. There are no roads to Bethel, so to meet with clients often required traveling by small plane to remote villages. My case load varied, but I primarily worked on land claims for Alaska Native clients. After two years in Bethel, I relocated to the main office of Alaska Legal Services Corporation in Anchorage. I served for eight years as a statewide litigation attorney working on fascinating issues facing Alaska Natives throughout the state. Cases involved land claims, subsistence, sovereignty, voting rights, employment discrimination, and other issues. I traveled all over the state, from as far south as Ketchikan to Barrow in the north. Next, I spent the 1990’s in Saipan, Commonwealth of the Northern Mariana Islands. I worked the first four years for Micronesian Legal Services, and then eight years for a small firm. The cases varied tremendously. In a small island community it was difficult to specialize in any particular area. While in private practice, however, I had my first exposure to coverage issues representing the policy holder. I moved back to Alaska for two years and worked for an insurance defense firm and also continued to do some coverage work. In 2001, I moved to Hawaii and have now been here fifteen years. My primary focus is on coverage work for both policy holders and insurers. Obviously Alaska and Hawaii are polar (pun intended) opposites in one obvious way. 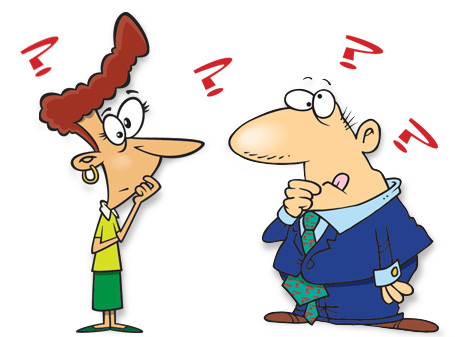 How does practicing law differ between these two jurisdictions? The practice in Bethel was more informal. Shirt and tie were not required for court appearances. I was sworn into the Alaska bar wearing a heavy wool shirt and rubber, break-up boots, which was the common attire for the tundra. Servicing clients all over the state required extensive travel, most it by small plane because there are few roads in Alaska. Being weathered in at a remote village was a common experience because small planes could not fly in a blizzard or foggy conditions. People in the villages were always very hospitable. I was once weathered in over Thanksgiving at a remote coastal village. Our feast included crane instead of turkey. The practice in Anchorage, the big city, was more formal, as it is in Hawaii. The practice in these locations is similar to mainland jurisdictions, but perhaps more laid-back and civil. Are there any things about Hawaii coverage law that make it unique from other states? Do you see tourism-related exposures? Claims involving pineapples? Hawaii case law on insurance coverage issues is in its infancy and continues to evolve. Frequently, the court and litigants must look to other jurisdictions for guidance. This makes the practice exciting because there is always the opportunity to develop new case law where there are no answers to outstanding issues. Five or six years ago, there were very few Hawaii lawyers who specialized in coverage. More recently, some major construction defect cases, involving numerous parties, demanded the involvement of coverage lawyers so more lawyers have had exposure to coverage issues. Hawaii is known as an insurer-friendly jurisdiction. This does not always hold true, however, as there are significant exceptions. A good example is the current state of the law regarding liability coverage for faulty workmanship, construction defect issues. In 2010, the Hawaii Intermediate Court of Appeal issued its decision in Group Builders, Inc. v. Admiral Insurance Co., 123 Haw. 142, 231 P.3d 67 (Haw. Ct. App. 2010), a brief opinion with abbreviated analysis, holding that claims for property damage based upon faulty workmanship did not constitute an “occurrence,” but were contract-based and not covered under a CGL policy. Subsequently, the legislature enacted Act 83, which attempted to undercut Group Builders. The legislation requires consideration of the case law that was in existence at the time the policy was issued in deciding whether property damage due to faulty workmanship arises from an occurrence. Consequently, the dispute between contractor policyholders and carriers now centers on the state of the law regarding “occurrence” at the time a particular policy was issued. While most of the judges for the federal district court for the district of Hawaii have predicted that the Hawaii Supreme Court will ultimately find claims based on faulty workmanship do not arise from an occurrence, the issue has yet to reach the Hawaii Supreme Court. A Hawaii-flavored coverage case I worked on involved a pineapple plantation on Oahu that inherited a contaminated superfund site. Coverage was denied under policies issued to our client’s predecessor. We filed suit against numerous insurers. The end result was the Hawaii Supreme Court’s decision in Del Monte Fresh Produce (Hawaii), Inc. v. Fireman’s Fund Ins. Co., 117 Haw. 357, 183 P.3d 734 (2007), where the court held that assignments of the policies to our client voided coverage because there was no assignment by operation of law and the insurers had not consented to the assignment of policies. What are some of your most satisfying public interest successes? My most interesting public interest work was done in Alaska. A case that stands out was work for a 96 year old Tlingit gentleman, Jimmie A. George, Sr., from the village of Angoon. The case involved a claim under the Alaska Native Allotment Act of 1906 for subsistence land in southeast Alaska that had been used Mr. George and his ancestors. The Bureau of Land Management denied the claim and the Interior Board of Land Appeals affirmed. Mr. George filed suit against the Department of the Interior. The Department of Justice lawyer and I traveled to Angoon to take Mr. George’s deposition. Through a translator, he had fascinating stories about his subsistence life-style in southeast Alaska. After the deposition, we moved for summary judgment. I will never forget the ruling from the bench by District Court Judge Andrew Kleinfeld, now a senior judge on the Ninth Circuit. Judge Kleinfeld was known as a conservative judge and we were unsure of his receptiveness to land claims by Alaska Natives. Nevertheless, he ruled in Mr. George’s favor, noting that the family core making historical use of the land was significant to the judge.